HOTERY PRODUCTS CORP. is a professional enterprise, it has a well-educated and well-trained technological and managerial stuff. We have very strictly quality control system and has the advanced testing machine and advanced checking equipment. 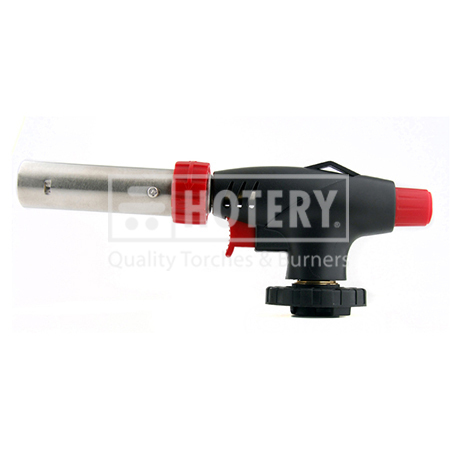 So we're a professional supplier supplying series of Gas Burner Torch. 1. Slim profile cooking torch. 2. Piezo Igniting, trigger start, easy to light and be more convenient. 3. Twist to adjust and control flame size. 4. Multi-flame mode support: powerful & soft flame. 5. Anti-flaring support after pre-heating.